Your local forecaster's weather predictions are a good start if you're a surfer—or really any athlete who relies on the wind—waiting for the perfect conditions. But for more precise on-the-spot forecasts, Shaka's anemometer accessory turns your iPhone into a handheld weather station. 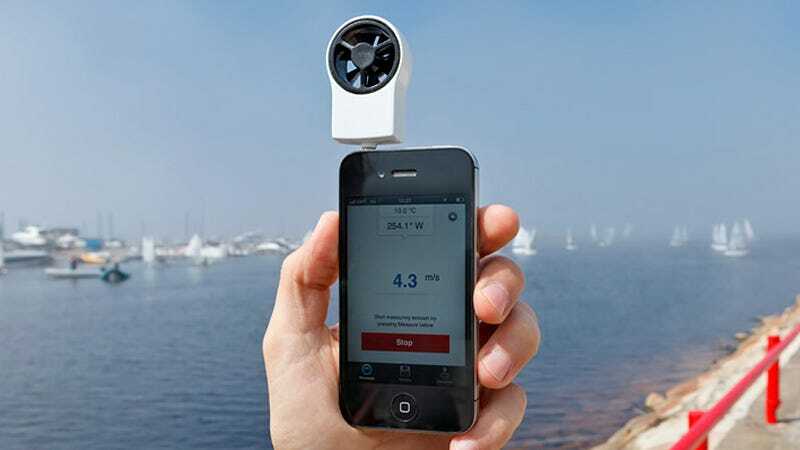 When available, the $60 wind meter will simply attach to your phone's headphone jack, feeding data about wind speed, direction, and the temperature to an accompanying app. You can then compare today's measurements with past readings, share them with fellow users via various social networks, or even contribute to a crowdsourced map that provides current wind readings all around the country. So even if your local conditions aren't ideal for your extreme kite flying, you can easily find a spot where they are.